You all do an awesome job and I feel very welcomed there. I will continue to come back because all of you are so friendly and helping. Call us at 864-585-0208 today. Vision is a gift that’s worth every penny to preserve. 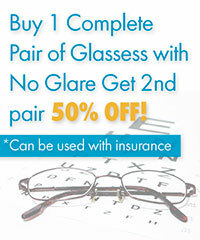 By scheduling routine eye exams at Eyes on Henry in Spartanburg, you do your part to protect this gift over the years. Regular eye care services can keep your eyes healthy and your vision sharp as you grow older. You’ll find working with our competent optometrists a pleasant and educational experience. At Eyes on Henry, you’ll partner with Dr. Alva Pack, Dr. Louis Martin and our team of qualified optometry specialists in the care of your vision. Our eye doctors are well versed in the many aspects of eye care, having had years of experience in their field. From routine eye exams to eye disease treatment and surgeries, we promise prompt, effective services designed to protect, preserve and improve your vision. As not everyone has knowledge of what’s involved in optometry care, we’ll take time to answer your questions and explain our procedures so you’re fully aware of what’s involved in your eye testing and treatment. If we uncover eye problems or diseases, we’ll clarify how these are affecting your vision and recommend options for treatment. The more awareness you have of the importance of eye health, the more motivation you’ll have to take care of your eyes and vision. Your optometrists in Spartanburg offer a wide range of optometry services to meet your needs. These include comprehensive eye exams, testing for eye diseases, prescription eyeglasses and contact lenses, sunglasses and pre- and post-operative care in the event you need eye surgery. Our eye exams include testing for eye health, visual acuity and eye movement/teaming. If you show signs of visual refractions such as nearsightedness, farsightedness or astigmatism, we make sure you get an accurate prescription for glasses or contacts to correct your vision. We offer a comprehensive lineup of high-quality, name brand eyewear to make it easy to find what you want and need within your budget. At Eyes on Henry, we try to make every eye care visit a pleasant and productive experience. Our eye doctors and staff take a personal interest in each one of our patients to make sure you receive the quality care you need. Our facility is clean, comfortable and welcoming so you can relax in a pleasant environment while waiting for your appointment. We invest time and resources to make accurate eye care diagnoses so you can benefit from optimum eye health and vision. For the finest eye care services in the Spartanburg area, visit Eyes on Henry today. To schedule your eye exam, call 864-585-0208 or visit our website to make an appointment online today.